Combine all the above ingredients (except the cacao) in a food processor until everything is thoroughly crushed and combined. 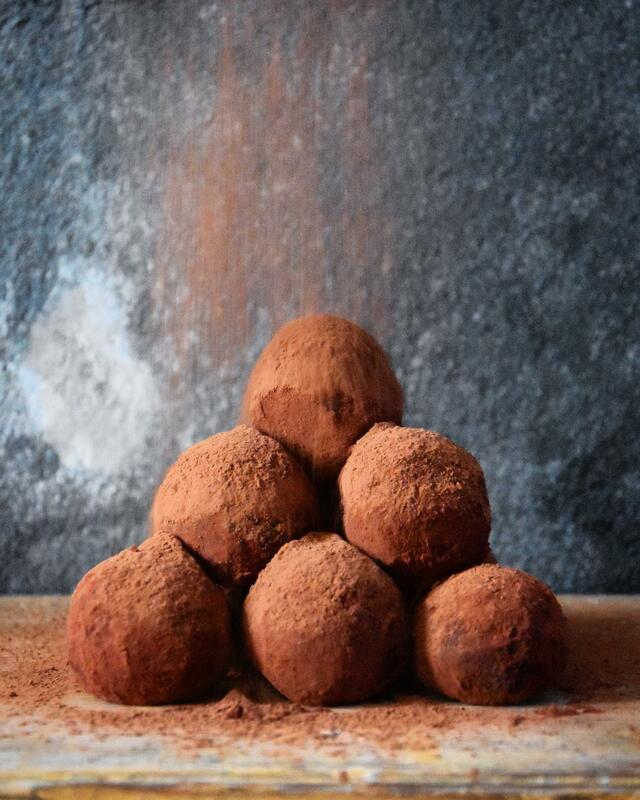 Make 10 to 12 small firm balls out of the mixture and dip into cacao. Let set in the refrigerator. Eat as many as you like without all the guilt.